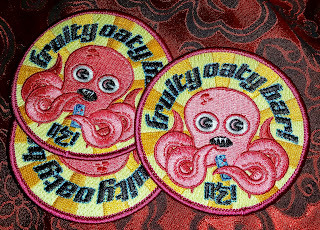 This gorgeous new limited edition patch was created by our very own talented William Pace (Yellowjacket Art) and measures 4.3" wide by 5.7" high. 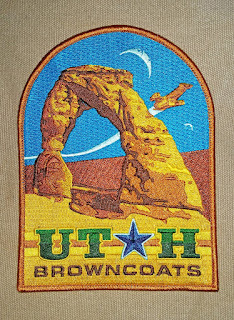 Beautifully detailed, with vibrant coloring and precise stitching, this patch celebrates the town of Utah on the planet Hera within the expanded Firefly / Serenity universe*, as well as our local real life group. The moons depicted are Eris (larger) and Bullet respectively, and of course our beloved ship is flying overhead. Delicate Arch also celebrates our beautiful local landscape.. Within the Firefly mythology, the Utah based Independents fought bravely in the Battle of Serenity Valley, which was also located on Hera. 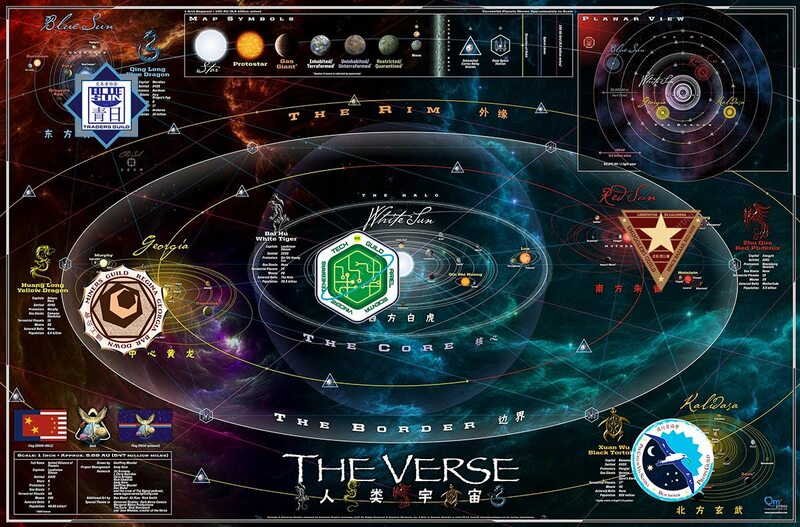 * See the ARC of the 'Verse for more info. A new addition to our store, these beautiful buttons debuted at our themed booth at FanX '18! 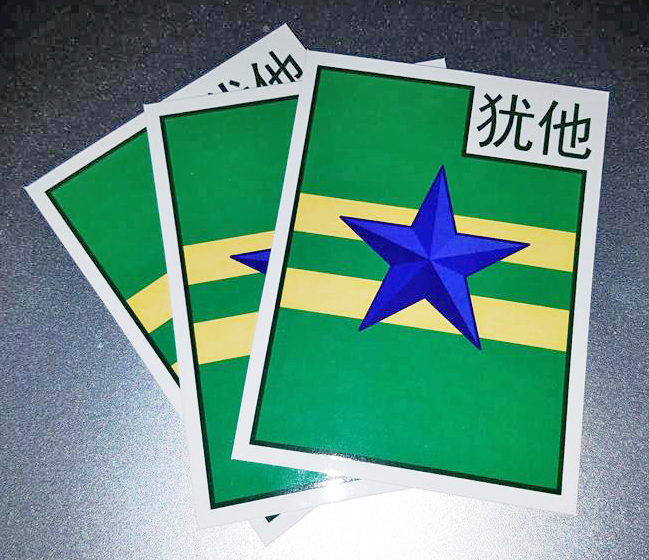 Now they can be yours! Each button is a high quality full color commercially produced and laminated print on a 1.5" button Price includes both buttons and shipping. The classic Utah Browncoats logo - now in sticker form! Fly the Indepenents flag wherever you can stick one! These stickers are 4"x 3" and are outdoor rated white vinyl, screen printed and UV gloss coated. The are super high quality, and ready to go on your car, bike, laptop, or even your front door. 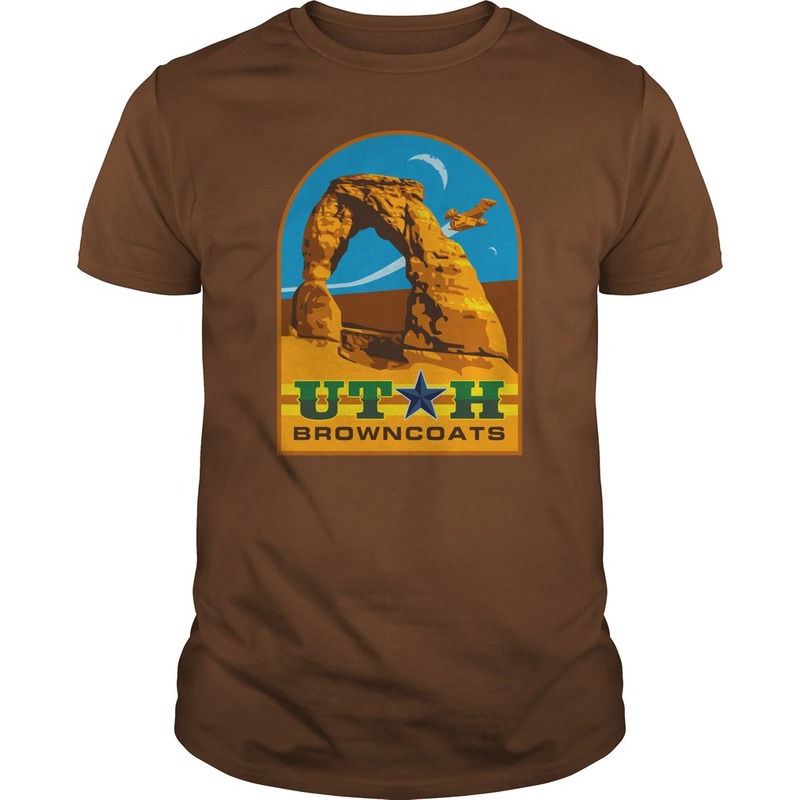 The Chinese characters at the top read "UTAH". Not Mandatory! 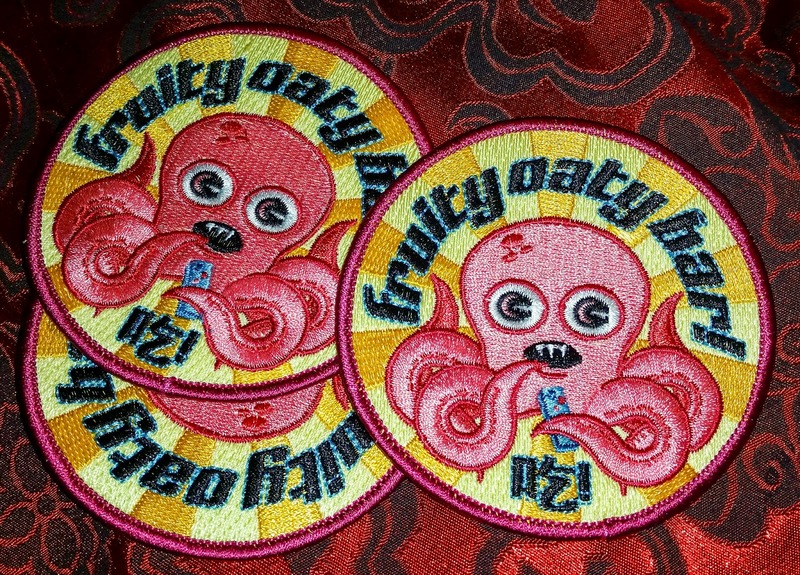 Each limited edition patch is a generous 3.5" diameter, so you can really show off your love for all things Fruity Oaty. 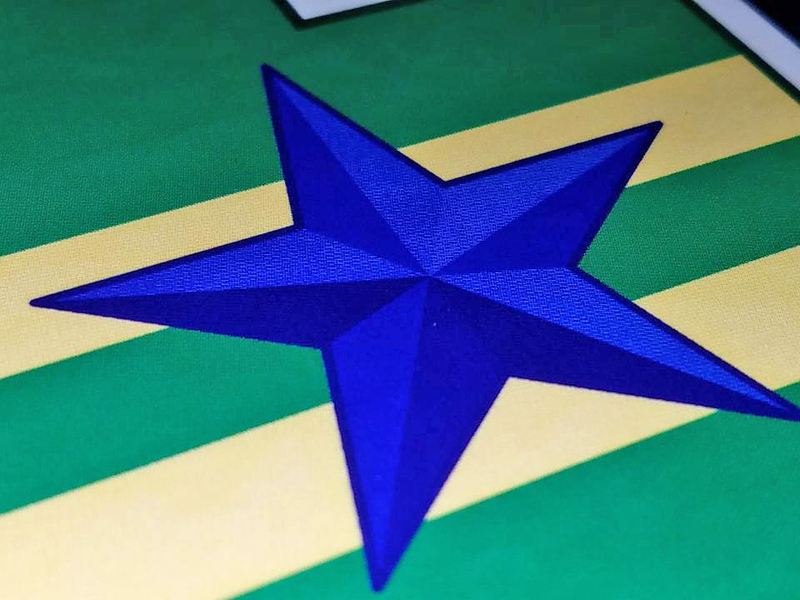 Created by William Pace (yellowjacket), this unique design is derived from the scenes in the Maidenhead Bar on Beaumonde where a certain word set off a chain of events for our plucky crew. (whispers) *Miranda*. Get your own memento of this event today! The perfect shiny new home for all your work badges, con badges, pins and buttons! 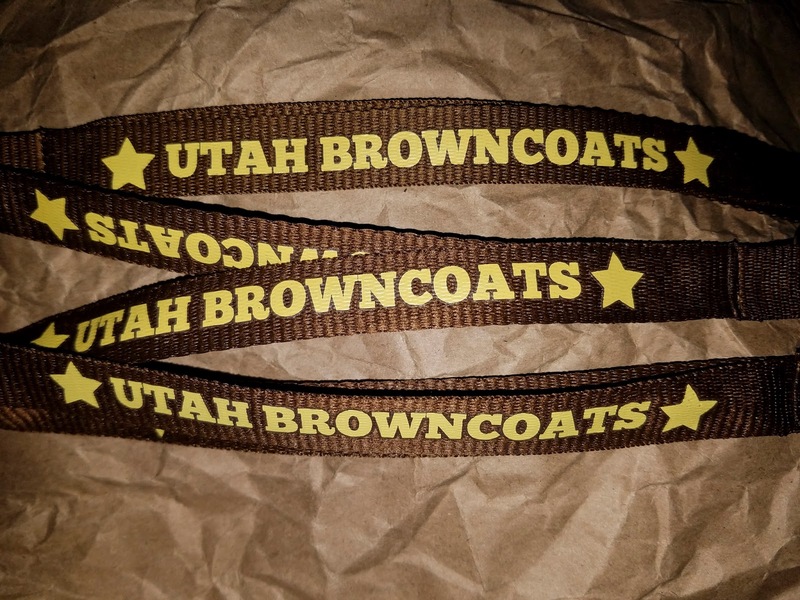 Our new Utah Browncoats lanyards are a rich brown polyester with yellow imprinting which says "Utah Browncoats" and is punctuated with a star before and after the text. 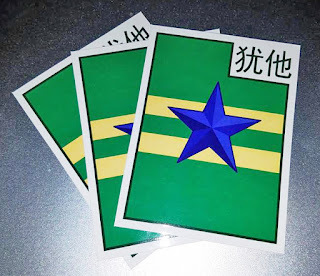 It is printed on both sides. There is no safety breakaway, so they are not recommended for use with small children. The clasp is lobster claw. 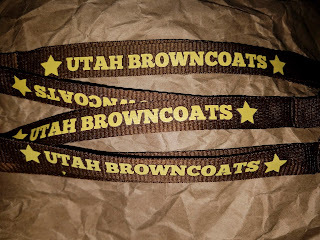 We are a 501(c)3 public charity, and act as the financial, charitable and fundraising arm of the Utah Browncoats, a fan group for Firefly and Serenity. Support our charitable Good Works! Good Works page for details!